Keri's Kreativity: April Kraftin' Kimmie Peeks-Day Four! April Krafty Peeks...Day FOUR! Hard Workin' Dudes PLUS a Challenge! Are you going to join in and help us celebrate ALL the new sets? Our last stamp set is another manly set from fabulous artist Emilie Goulet!!! It's called HARD WORKIN' DUDES! It's so hard to find great GUY stamp sets and you've been asking for them so we listened! We've got the TEEN DUDES from earlier this week and now we got a set perfect for all the MEN on your list! The set comes with TWO main images and SEVEN mix and match sentiments to include your dad, uncle, brother and grandpa! It's amazing! 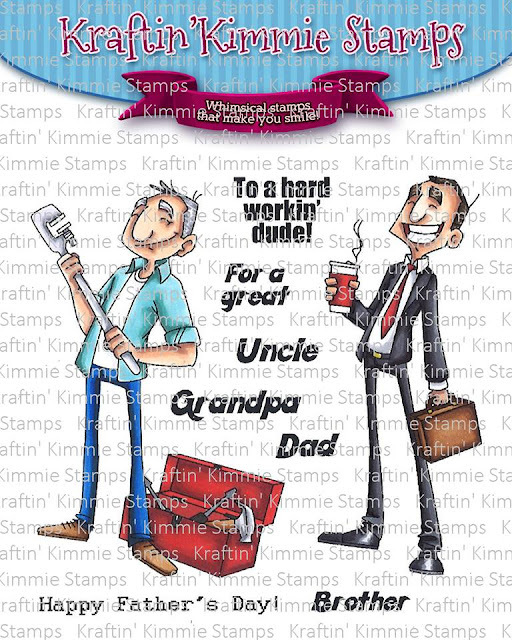 All the Krafty Design Team members and Guests listed below have lots of stunning creations to share with you today featuring the HARD WORKIN' DUDES stamp set! Be sure to hop around and leave lots of love at each and every stop because one lucky commenter will WIN a gift voucher to the krafty shop! The winner will be announced at the LIVE Online Release Party this afternoon, so don't miss it! 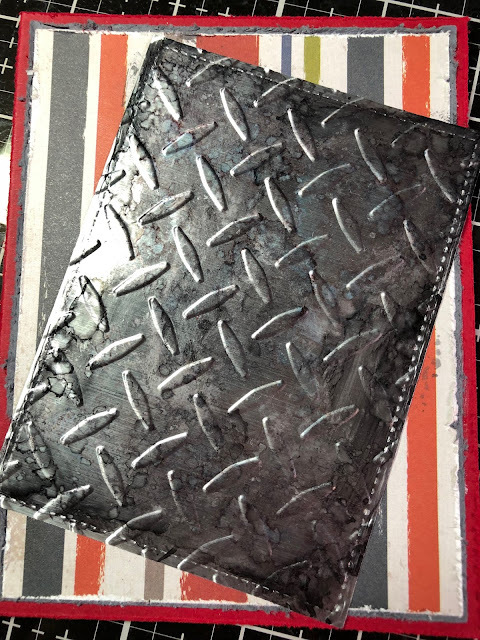 Today I am showing you "Hard Working Dude"
I embossed stainless vinyl with an embossing folder and then added Black and silver alcohol inks to grunge it up. I added some faux screws and stars to finish off the look. great card love your colors and coloring!!!! You are ridiculous! I LOVE the background laying.... so talented! I love it! Awesome colouring and I LOVE how you embossed the background and grunged it up! Thanks so much for sharing this technique! Awesome card. Wow! The background is outstanding!! Great card! !